Welcome to Fastway Pest Control! Welcome to Fastway Pest Control. We are your number one choice when it comes to reactive pest control work! We believe in brilliant customer service, which is why we ensure we have the best customer service team available. With a 24 hour* free phone, we can arrange for our pest controllers to be with you at any time that is best for yourself! 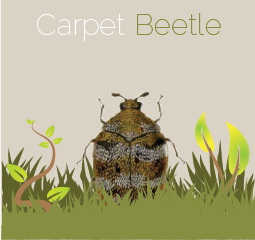 We provide pest control for many different insects and pests, from Mice or rat treatment to annual pest control contracts. From Bed bugs to bird proofing, we do it all. So contact us on our free phone today and a member of our customer service team will be more than happy to assist you with your problem. Bees or Wasp are in full force during the spring and summer months. They move in migrant swarms who seek a new home to settle. Please be cautious as swarms are particularly aggressive (especially Wasps) if you attempt to destroy them. 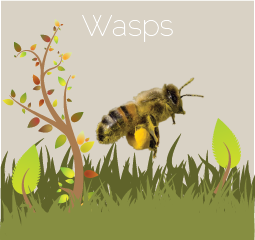 Most will leave on their own accord within a few days but if you suspect that the Bees or Wasps have settled on your property then feel free to contact us. We can resolve the issue for you in numerous different ways. For Wasps and Masonry Bees we can aim to eradicate the inhabitants through an insecticide spray. Spraying dust into the nest directly or into the general vicinity, it permeates the nest via diffusion; in the latter case those returning to the nest are contaminated by the dust and carry it into and around the nest, spreading the exposure. The individual Wasps will survive for several minutes before death which gives them enough time to serve as a carrier. Usually the nest is dead by the end of the day. If the nest needs to be removed immediately for safety reasons a type of foam can be sprayed into the nest instead. In the case of Honey and Bumble Bees, these protected species are dealt with by a Bee Keeper who can attempt to remove the nest without causing any harm to those who inhabit it. Restaurants and businesses which deal with foods have to possess sufficient coverage to ensure health and safety measures are met. What we can provide as a company are a number of pre-agreed visits over the course of a year where we will attend to confirm that the property is still at the correct standard and if there are any problems treat them accordingly. You can also expect certification as evidence that the agreement was in place. 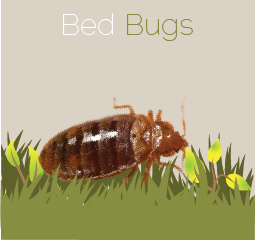 Cockroaches, Fleas and Bed Bugs are difficult to treat under most circumstances as they are resilient to most methods of treatment. We however have taken steps to overcome this obstacle. We are licensed to use potent chemicals and treatment methods optimised of success. Careful investigation determines the key areas of infestation and from that point the treatment is applied to hit it hard. Rather than use spray for Cockroaches, Sticky gel bait is used instead. These are easy to implement and are attractive to the Cockroaches. Upon ingestion it kills without spreading their eggs. Fleas and Bed Bugs are treated through the use of insecticide sprays we are licensed to use. Little to no residue is left behind as our sprays eliminate the infestation. If you suspect you have a rodent issue then please contact us. We know the stress a rodent infestation can cause and we are here to help. As a company with a lot of experience in treating Mice, Rats or Squirrels we recommend you seek assistance as soon as there is evidence of rodent droppings or scratching inside the wall. Besides the health risks involved, Rodents have a need to continuously gnaw away at various surfaces in order to prevent tooth growth. This can cause property damage and even electrical fires. We can provide you two visits. On the first visit we can identify where the rodents are in your property and whilst there apply the bait boxed poison in the most appropriate locations. Our second visit is for the purpose of retrieval where we attend to remove the poison for you. Potent insecticide sprays can be used if you have Cluster flies or Moths in your property. They will kill the insect on contact. 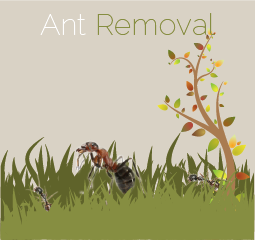 Ants are treated via powder which is positioned around the areas they are entering the property or emerging from underground. The ants will consume the powder en masses and it kills rapidly upon ingestion. Are you having problems with Birds? Birds and their droppings carry a hygiene risk which we can address for you. There are several ways we can assess but they primarily fall into the methods of treatment and deterrence. If your property has been targeted for a Bird invasion we can step in to assist. We can provide you the following services: treatment (if the bird species is not protected) and deterrent work to the property in the form of netting or spikes. Spikes are applied to window sills, roofs and other surfaces where Birds may choose to land or congregate to prevent them from landing there whilst netting is applied to areas including holes in the property to stop Birds finding their way inside. Trusting our experience, we are sure we can provide a cost-effective and efficient service for you. We can either provide a quote over the phone or at your property. Moles can be a major nuisance as their tunnelling under a garden or lawn damages both the appearance and its integrity. 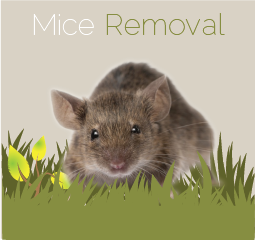 Wishing to be of service we provide an effective Mole treatment service which utilises traps. These are inserted into the holes and are activated upon the intrigued Mole’s investigation. Through their continued use we strive to eliminate the problem swiftly to a high standard. Striving to be helpful we follow the motto “no job is too small.” Whilst some companies would not assist in this area we wish to be different. Dead animals are a problem we can take off your hands and dispose of accordingly. Advise us on the nature of the problem and we shall remove the problem without fuss. We will gladly provide free written estimates and quotes for our work. Our work is also approved for insurance purposes. Our staff will advise you of our prices and if you are happy with our rates a suitable time or date for our attendance will be arranged. We aim to provide a 30-90* response time for all our pest work. Call us on our free phone today to speak to a member of our customer service team today! Available 24/7* 365 days a year, we can be with you 30-90* minutes after you call, so ring us today! Our friendly skilled customer service team are on hand to provide you with a free price quotation over the phone, so you can be sure of the price before we attend your property. Once you have arranged for a pest controller to be with you, all that is left to do is wait! We can be with you 30-90* minutes after you call, so if you require a reactive pest controller, call today!